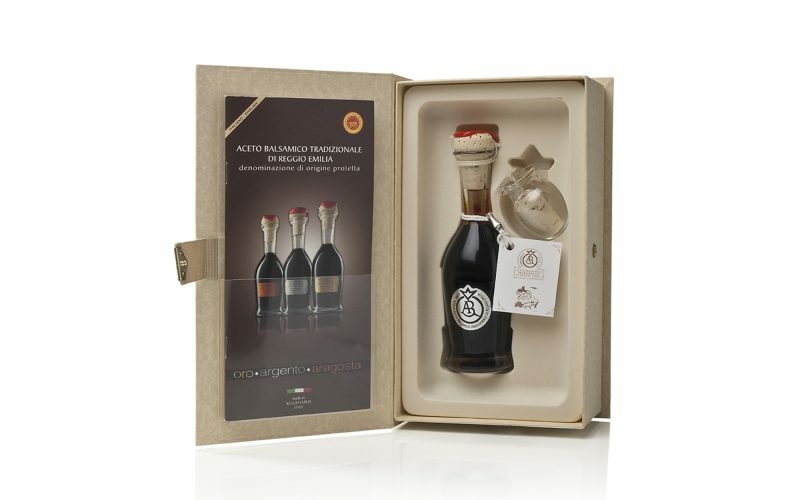 The traditional balsamic vinegar silver label has different characteristics because it is refined more than the Aragosta one. Flavours are more complex and sweet. It is usually used with first courses, risotto and light cooking. It’s perfect when used raw in mayonnaise and sauces.